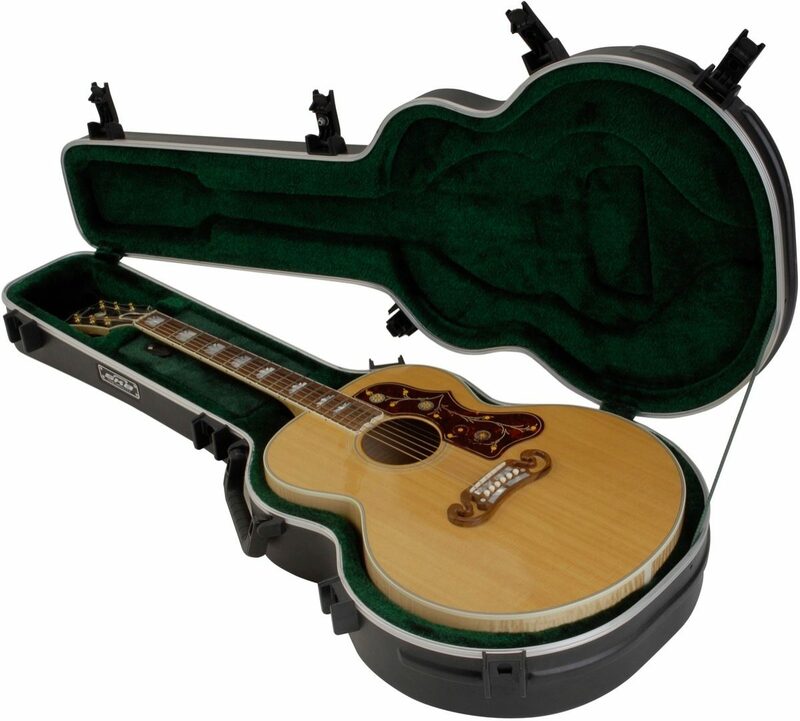 Designed to fit all common jumbo designs, the SKB-20 incorporates superior structural and design features such proprietary engineered rubber-modified styrene shell and rigid EPS interior foam to cradle the guitar securely and absorb shock, molded-in bumper design to provide maximum protection for the valance system, and full-length neck support. A TSA-accepted trigger-release latching system enables you to lock your case and still be inspected at airport security. 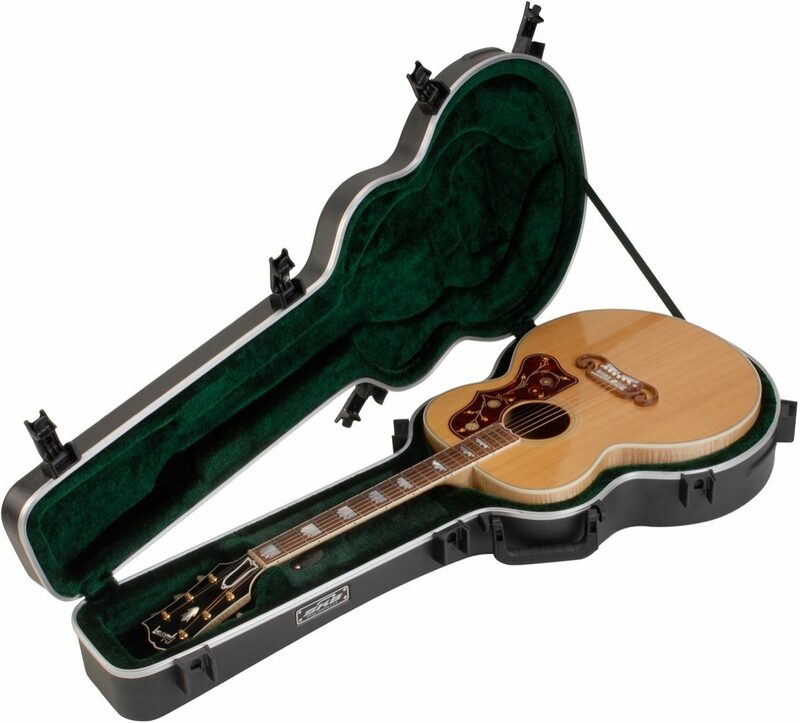 Note: Case only, guitar not included.